WASHINGTON (Sputnik) - US President Donald Trump is considering his son-in-law Jared Kushner to serve as the next White House Chief of Staff, media reported. Kushner, who is Ivanka Trump's husband and currently serves as a White House senior advisor, met with the US president about serving as the next White House Chief of Staff, the Huffington Post reported on Thursday citing a top Republican close to the White House. 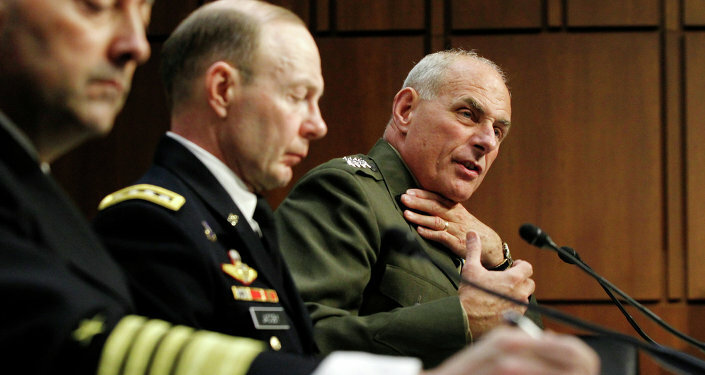 READ MORE: Academic on Kelly's Departure: Who Wants to be the Executive on a Sinking Ship? The White House did not respond to requests by the Huffington Post regarding the situation, the report said. Earlier on Thursday, Trump said he has narrowed his list of candidates for the job to five candidates. Last Saturday, Trump announced that Kelly would be leaving the White House at the end of 2018. He did not offer a clear reason for the departure.